Editorial & Political Cartoons by Jeff Stahler: Gallery. Love books? 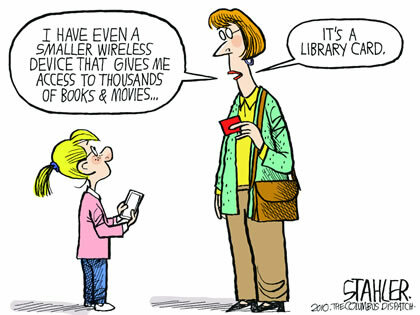 Libraries? Then you will love this cartoon by Jeff Stahler in the Columbus Dispatch in Columbus, Ohio.